Currently producing podcasts for the MTV Podcast Network. We make the Rookie Podcast, The Stakes, North Mollywood, Happy Sad Confused, Skillset, Speed Dial, Lady Problems, and Videohead. Before this, I was a freelance producer for Marketplace. Here's a sample of the shows I've worked on. The Rookie podcast explores the world through a teen lens and is hosted by Rookie Editor-in-Chief Tavi Gevinson. She interviews people she admires and contributors discuss creativity, feminism, pop culture, and how to be functioning humans. Guests include Lorde, Winona Ryder, George Saunders, Hilton Als, Roxane Gay, and many other brilliant people! Rookie was included in Time Magazine's "Best Podcast Episodes of 2017 So Far" list alongside S-Town, Missing Richard Simmons, New York Times' The Daily and Still Processing, Pod Save The People, and other great shows! Such an honor to be on this list. Marketplace is the #1 business news show in the United States and is one of the most listened to programs on public radio. While I was there, I produced over 60 pieces including a series on the startups of Silicon Beach and a diverse range of interviews from conversations with cattle ranchers to notable authors. The Stakes is a magazine style show that covers politics, society, and cultural criticism. The Stakes features Senior National Correspondent Jamil Smith and Senior Politics Correspondent Ana Marie Cox, along with contributions from MTV News politics writers. 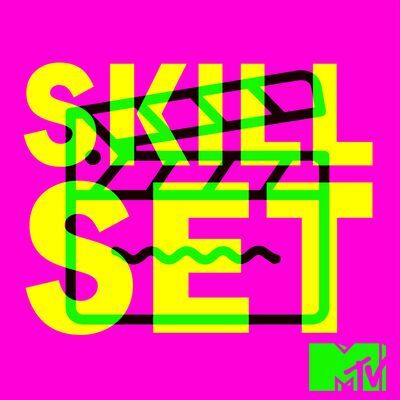 Skillset is a film show hosted by MTV News Chief Film Critic Amy Nicholson where every guest is an expert. Season 1 of Skillset features guests like Michael Shannon on his love of the Talking Heads, the cat trainer for Keanu, and a tornado expert who consulted for Twister. Season 2 of Skillset focuses on high school movies and features interviews with the editor for Breakfast Club on the outtakes, Mark Duplass on being a hopeless romantic as a teen, and an English professor on what Shakespeare would have thought about all the teen movies inspired by his plays.